This is my review of the American Express Platinum charge card, also known as The Platinum Card from American Express. It is part of my series of articles looking at the major UK loyalty credit cards and discussing whether or not they are worth applying for. These articles will be linked to the relevant sections of the ‘Credit Cards Update‘ page. My other UK airline and hotel credit card reviews can be found here. If you want to check your credit record before applying for a new card, click here to get your free Experian Credit Score. The American Express Platinum charge card is issued directly by American Express. Note that The Platinum Card is a charge card, not a credit card. You MUST clear your balance in full at the end of each month. What is The Platinum Card sign-up bonus? 30,000 Membership Rewards points when you spend £2,000 within 90 days. This is increased to 35,000 Membership Rewards points if I refer you via the Amex ‘refer a friend’ scheme. Please e-mail me at rob [at] headforpoints.co.uk if you would like a referral. Membership Rewards points can be converted 1 to 1 into Avios, so you would receive 30,000 or 35,000 Avios points. Click here to see what other reward programmes are Membership Rewards transfer partners. What are the rules for qualifying for the sign-up bonus? The bonus is only available to customers who have not held an American Express card which issues Membership Rewards points in the previous 24 months. This would include Green, Gold, Platinum and the American Express Rewards credit card. You are OK if you currently or recently only had a British Airways, Starwood, Costco or Nectar American Express card. All that matters is that you have not held a card offering Membership Rewards points. You will not receive the sign-up bonus if you have a Corporate or Business American Express card via your job and you receive Membership Rewards points from it. If your Corporate or Business card does not provide Membership Rewards points then you are OK.
You will definitely receive the bonus if you are only a supplementary cardholder on someone else’s American Express card. As far as Amex is concerned, that card belongs to the primarily cardholder and does not make you an ‘existing cardholder’. If you do not qualify for the bonus, you can still apply. You still receive the other card benefits, which are substantial. Any other benefits with Amex Platinum? The card has substantial benefits – easily the best package of any UK loyalty card. You receive travel insurance for yourself and your family. You can insure five other people and their families by giving them supplementary cards on your account. Some benefits require you to pay for your trip with an American Express card, but the core medical benefit is automatic. There is an age limit of 70 on the travel insurance. For legal reasons, you need to opt-in to the travel insurance benefit by ticking the relevant box on the application form. You receive full car hire insurance – with no requirement to pay with your card. You and your main supplementary cardholder will each receive a Priority Pass card. This gets the cardholder plus a guest into 1,200 airport lounges across the world for free, including the Aspire lounge in Heathrow Terminal 5. As you get two Priority Pass cards, each of which allows a free guest, you can get a family of four into a lounge – as I do on a regular basis. You can also access the lovely Plaza Premium Lounge in Heathrow Terminal 5. This is not part of Priority Pass but American Express Platinum cardholders can get in, with a guest, by showing their Platinum card at the front desk. You can also match your Shangri-La status to ‘Inner Circle Gold’ status in the Taj Hotels scheme as they have a special partnership. Other benefits include Eurostar lounge access in London, Brussels and Paris whatever your class of travel. (The Amex website does not mention Brussels but it does work there.) You also receive lounge access when flying with Delta although any guests must pay $29. There is also an exclusive hotel booking scheme called ‘Fine Hotels & Resorts’ which offers valuable additional benefits on your stays. If you are a regular visitor at five star hotels then you can recoup your entire membership fee via FHR bookings. I wrote more about FHR here – for me, the guaranteed 4pm check-out on every stay is invaluable, especially for weekend breaks. What is the annual fee on American Express Platinum? The fee is refundable pro-rata if you choose to cancel. This is part of the terms and conditions of the card, and Amex is known for refunding fees without quibble. The Priority Pass airport lounge card is cancelled immediately if you close your Platinum card. However, the hotel status cards will continue to work until they expire naturally. If you are self employed, remember that you could offset the card fee against tax as long as you used it exclusively for business-related expenses. What do I earn per £1 spent on the card? You receive 1 Membership Rewards point per £1 spent on the card. This is equivalent to 1 Avios or other airline mile per £1 if you choose to transfer them. What is a Membership Rewards point worth? Anything from ‘not a lot’ to ‘a lot’ is the answer! This article looks at the different redemption options and what they are worth. If you redeem your points for, say, an Amazon gift card then you will receive around 0.5p per point. This is a poor return. I tend to value airline miles at 0.75p – 1p each (this is conservative) so that is your valuation if you transfer to an airline programme. Some of the hotel programmes also offer good value. Radisson Rewards (the Radisson, Park Plaza and Park Inn scheme) transfers at 1:3 from Membership Rewards, for example. Their top five-star hotels cost 70,000 points per night which would be just over 23,000 Membership Rewards points. This would usually get you over 1p per point of value. Historically there were occasional transfer bonuses of 20%-30% to various airlines, including British Airways and Virgin Flying Club, although we have not seen any for the last couple of years. If you see reports of American Express transfer bonuses to Avios, they are almost certainly discussing cards issued outside the UK. You can take a look at the full list of Membership Rewards options here. Is The Platinum Card a good card to use when travelling? As Amex adds a 3% foreign exchange fee, you might want to get a separate free credit card to use abroad. Unfortunately there are no travel rewards card without a foreign exchange fee. One option is to get a free Curve Card – see this HFP article – and link it to a miles-earning Visa or Mastercard. If you want a dedicated credit card to use abroad, take a look at the Virgin Money Travel Credit Card (click here). This card is free and charges NO foreign exchange fees. It also offers 0% interest on purchases for 12 months and 0% interest on balance transfers for 12 months, with no fee. Representative APR 19.9% variable. American Express no longer has a minimum income requirement for any of its cards. In terms of the absolute number of miles earned, 30,000 Membership Rewards points – or 35,000 if you apply via my refer-a-friend link – is the most generous deal on the market. You would receive 30,000 / 35,000 Avios or Virgin Flying Club miles, for example. Whether or not the fee represents value for money long-term depends on how many of the card benefits you will use, although you can cancel for a pro-rata fee refund at any point. I have had a Platinum card since 1999 and can justify the cost based on how we use the travel benefits, especially the travel insurance, car hire insurance and the Fine Hotels & Resorts programme. For on-going spending, 1 point per £1 is not outstanding. 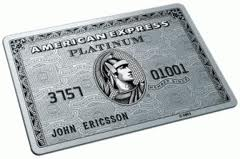 A lot of American Express Platinum cardholders keep the card for its benefits but put their spending on other cards. The American Express Preferred Rewards Gold is more generous for larger spenders as it offers a 10,000 point bonus for spending £15,000 in a card year, as well as double points on airline tickets. The application form for Amex Platinum can be found here. Plat Car Insurance. When I take my car into the main dealership, they provide a courtesy car. I usually opt for insurance which is £10 (they usually forget to charge for it). Would the Amex Plat insurance cover damage to a courtesy car if anything bad happened? “Trip” means a journey outside Your Country of Residence which must commence and end in Your Country of Residence, or a journey within Your Country of Residence which must include a flight, or at least one night of pre-booked accommodation away from home. Trip is extended to include any journey within Your Country of Residence for Car Rental Benefits (Section 1.5) only. So, for car rental stuff, I think any journey is fine, from my reading of that at least! OT: Anyone had any recent problems using Amex with Billhop? I’ve been using it to pay our babysitter infrequently; but had a message from Billhop today saying that payments to private individuals (implication being that LTD companies are still OK?) are no longer allowed? Not heard anything, although they had been insisting on an invoice for a while. Thanks. Wasn’t sure how a private individual (which seems like a legitimate use given it’s an option) was really meant to provide an invoice. But hey ho…looks like the babysitter will be getting paid cash from now on! Yes, they refused my payment to my cleaner using her name, fortunately she has got her own company so Billhop substituted the company name and it went through ok.
Ok, that’s useful to know! Thanks. Amex so seem particularly quick to shut down anything that looks like manufactured spend compared to other cards (even when it’s not). When booking car rental via any of the mainstream companies the CDW is always automatically included. I can’t see a way of opting out. Does anyone know how to make use of the Amex Plat benefit as this would drastically reduce the cost of car rental not paying the CDW? CDW is required by law. You cannot refuse it. You can refuse the additional insurance for zero excess, windshield, tires etc. Thanks for that, however the Amex policy clearly lists Collision Damage Waiver as the first item that is covered, followed by Loss Damage Waiver, Supplementary Liability, Theft Protection & Personal Accident. It is covered in countries where it is not obliged to include it by law. If UK laws says that it is illegal to rent someone a car unless it includes CDW coverage then you can’t take it off. In other countries the law will be different. The legal minimum is always included which varies by country. Has anyone in the UK received the Jade Shangri-La status? I enrolled around 8 weeks ago but still pending…staying at a few of their hotels next week so feel a bit gutted missing out on points. I enrolled via the Amex website a few weeks ago and it’s come through. Its a new account for me and I just copied the membership number from Amex and activated the account. Shame my next stay was booked via FHR and I don’t believe I can link the membership to the booking for points/perks (although FHR perks outweighed in my case). You will get the points and perks – FHR rates always qualify. Try ringing Amex Travel and seeing if they can add it to the booking. If not do it at check in. Last time I was on Platinum, it was via an upgrade link from Gold – only needed £1k (?) spend via the link to activate the bonus. Does anyone know if that is still available? Yes if Gold Charge. No if Gold Credit. I have just cancelled my Gold amex, Am i right in thinking i will have to wait the 6 months before im eligible for the sign up bonus even though i havent held a platinum card before? Hello, does anybody on here have the international platinum, and if so would you mind answering a few questions about it please?